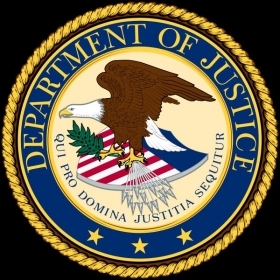 Three executives affiliated with Japanese supplier Nishikawa Rubber Co. were indicted in federal court for their alleged roles in the auto supply chain’s ongoing price-fixing scandal. Keiji Kyomoto, Mikio Katsumaru and Yuji Kuroda are accused of conspiring to fix prices and rig bids for weather stripping and rubber seals sold to Toyota Motor Corp. and Honda Motor Co. for vehicles made and sold in the U.S.
Kyomoto and Kuroda are still listed as being employed by Nishikawa, but a statement from the U.S. Justice Department said only one executive was still employed by the company. According to the company’s website, Kyomoto is a director on the board, while Kuroda is an operating officer. A Nishikawa spokesman acknowledged Kyomoto and Kuroda are listed as being employed on the website. He confirmed Katsumaru has retired. Each is accused in the indictment, handed down by a federal grand jury in U.S. District Court in Kentucky, of conspiring on price-fixing from as early as September 2003 through at least October 2011. Katsumaru and Kuroda are also alleged to have ordered employees to destroy evidence of the conspiracy. They face up to 10 years in prison and $1 million in fines. The spokesman for Nishikawa, based in Hiroshima, Japan, declined further comment because legal action is ongoing. The indictment is the latest move in an ongoing, industry-wide federal investigation into price fixing and bid rigging. The investigation, led by the Justice Department’s Antitrust Division and the FBI, has led to charges against 58 people and 37 companies and about $2.6 billion in fines. Similar investigations have been ongoing in Europe and Asia. Nishikawa is not named in the indictment or the Justice Department press release. “Local court rules generally prohibit naming uncharged individuals and corporations in charging documents,” said Peter Carr, a spokesman for the Justice Department. According to the indictment, Katsumaru worked at a variety of positions, including managing director, with a Hiroshima, Japan-based company that manufactured and sold sealing products and had an ownership stake in the U.S. company. Kuroda worked as a sales branch manager during that time period for the same Japanese company. Kyomoto was president of a Delaware-based joint venture with the Japanese company, which manufactured and sold sealing products with offices in Novi, Mich., and Topeka, Ind., for most of alleged period. Hans Greimel contributed to this story.